Historic Dispute : Is Urbain Le Verrier the true discoverer of Neptune? Viewpoint: No, John Couch Adams is the true discoverer of Neptune. More than subtle differences lie at the center of the debate over who is the true discoverer of Neptune. At question here is what constitutes a true discoverer. Thus, each person's definition of justice and fair play are significant factors in the way this issue is viewed. Differences of opinion abound regarding what is more important. Some people say that the title of "discoverer" should go to the first person who theorized about the existence of Neptune. Others say something more is required and that it isn't enough to have a good hunch; verification is essential. The theory has to be placed within the context of what we know to be true. At the same time, progress is often made when we are willing to color outside the lines. It is, after all, the first person to propose a new theory who gets the ball rolling. But what if that person doesn't possess all the necessary tools or skills to verify the idea? Some people say that it is the one who actually proves the theory who deserves the credit. Still others would argue that the glory should be shared. And, of course, one must look at the reality of how things work. Regardless of how unfair it might seem, a good idea is rarely acknowledged, except in some circles. Most of the time it isn't until a scientist sinks his or her teeth into proving a theory and actually sees the process through to a tangible result that a discovery is officially recognized. For better or ill, part of this recognition involves self-promotion. One problem that disrupts the proper attribution of scientific discoveries in all fields is timing. There are many cases where a discovery has been made, but not recognized, even by the discoverers themselves. Many times, these discoveries are disputed or ignored, sometimes for decades, only to be reaffirmed later on. In such cases, who receives the accolades, the initial founder or the person who proved the discovery? Many times, scientists must give credit for findings in a retrospective capacity, awarding acknowledgement to former researchers who could not validate their claims and/or were ignored by their peers, because their findings were too controversial at the time of the discovery. This becomes even more convoluted when one deals with theoretical discussion—a key part of scientific fields such as astronomy. Can it be said that a theory is the guiding force behind a discovery? After all, were it not for the original source of conjecture, why would the scientists begin looking for those facts? Either because of lack of skill, technology, or resources, these theorists cannot prove their own hypotheses. However, does this negate their contribution in a particular discovery? U.S. National Aeronautics and Space Administration (NASA). JLM Visuals. concerning the gravitational influence of an as-yet-undiscovered planet on Uranus's orbit. Two such theorists were Thomas Hussey and John Couch Adams. Both were, for the most part, ignored by their peers. Hussey was ignored because of his lack of skill in mathematics, and Adams, although skilled, was ignored because he was not well known. Le Verrier would later independently develop his own hypotheses concerning this unseen planet. However, unlike those of his predecessors, Le Verrier's theories would be published and accepted by his fellow peers. One of these peers was George Airy, director of the Royal Observatory at Greenwich. Airy would play a key role in inspiring James Challis at the Cambridge Observatory to search for the predicted planet. Airy was also aware of, and had previously refuted, Adams's research, which was surprisingly similar to Le Verrier's calculations. Due to poor communication within the scientific community, several independent searches began for what would later be named Neptune. Many of these searches would result in failure. However, inspired by Le Verrier's prompting, a pair of German astronomers, Johann Galle and Heinrich d'Arrest, found the elusive planet in September of 1846. What was not known at the time was that Challis had already observed the planet the month before, but had not properly recorded it due to time constraints. So, this leaves us with the question of who should be accredited for Neptune's initial discovery. Many would say that Le Verrier's calculations and his diligence to have astronomers search for the planet should provide him with the accreditation. However, his calculations are very similar to the less experienced and tenacious Adams. And almost a decade before Adams, Hussey developed the theory but could not provide the calculations to back up his claim. We must also ask if providing the theory of an item's existence is more important than the actual proof of its existence. In Neptune's case, even this is debatable, as Challis observed Neptune before Galle and d'Arrest but didn't realize what he'd uncovered. It cannot be disputed that Le Verrier's skill and tenacity helped guide the discovery of Neptune. However, one must also weigh the numerous factors attributable to that discovery. This includes deciding whether or not it is the development of theory or the verification of fact that determines where the final accreditation should be placed. Many times a discovery results from a combination of factors and events. Giving credit for a discovery is not always a clean-cut decision. Often it is the person demonstrating the greatest leadership qualities or the one who is most persistent who is provided the ultimate recognition. However, it can be debated whether this is the fairest assessment of accomplishment in every situation, especially with regard to the final discovery of Neptune. Urbain Le Verrier was not the first person to observe the planet Neptune. He was not even the first person to calculate the position of the planet with any accuracy. The calculations he performed, predicting the location of Neptune, were accurate only through good fortune. However, without his efforts Neptune would not have been discovered. His personal energy and mathematical skill, combined with a good deal of persistence and some luck, led to the first confirmed sightings of Neptune. For this, he and no other should be considered the true discoverer of Neptune. Since antiquity, viewers of the night sky noticed that only five of the stars in the sky moved in relation to all the other "fixed stars." These were called the wanderers, or planets, and came to be known in the Western world as Mercury, Venus, Mars, Jupiter, and Saturn. Due to their use in navigation they became the most studied objects in science. Then in 1781 the world was shocked by William Herschel's discovery of a new planet. At first not even Herschel dared to believe the object he had found was a planet, but the evidence was overwhelming. Eventually it came to be called Uranus. Herschel's new planet immediately began to cause problems for scientists, as its movements seemed to defy mathematical prediction. Going over old records, it turned out that other astronomers had sighted Uranus earlier than Herschel, but had failed to recognize its wandering nature. However, these older observations refused to fit into any standard planetary orbit. Many reputations were damaged, and many inaccurate tables charting Uranus's movement were made. Something appeared to be wrong with planetary physics. Some even suggested that Newton's universal laws of gravity were not that universal after all. A number of suggestions were made to explain the strange behavior of Uranus, which lagged behind the expected positions. Comet impacts, a strange substance that existed only far out in space and slowed the planet, or mathematical and observational errors were all considered. Then in the mid-1820s Uranus began to speed up, further confusing the issue. A new theory began to gain some popularity. Perhaps Uranus was being affected by another undiscovered planet. One of the first to seriously consider finding this imaginary planet was an English clergyman, Thomas Hussey, who had a keen interest in astronomy. In 1834 he suggested that someone could calculate the position of this unseen planet, but since such mathematical endeavor was beyond his knowledge, he approached England's foremost astronomer, George Airy, but Airy dismissed the idea and Hussey made no further attempt to promote it. In 1843 another Englishman, John Couch Adams, also theorized that another planet was responsible for the strange motions of Uranus. However, unlike Hussey, Adams was a brilliant mathematician. He began a series of complex calculations, and using some inspired guesswork, came up with an estimated location for this mystery planet. Adams's next step was to get an astronomer to search the area near his estimated location. He tried George Airy, but once again Airy was skeptical, and with good reason. Adams was a young man with no track record in astronomy, and yet he was claiming to have done something no one else had even attempted. Airy had other things on his mind, and his own calculations suggested that a new planet would not solve all of Uranus's movement problems. There was also a comedy of errors between the two men, who never managed to meet at this time, despite several attempts. If Adams could have explained his work in person, and in full, it may have convinced Airy more than did the short written notes they exchanged. There the matter lay until the French mathematician Urbain Jean-Joseph Le Verrier (often written Leverrier) entered the ring. 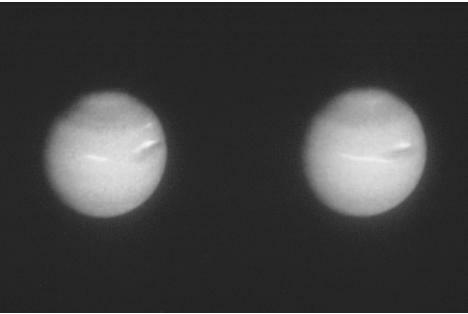 Le Verrier also independently speculated that an undiscovered planet might be the reason for Uranus's strange behavior. But whereas Adams had just graduated, Le Verrier had a distinguished academic history, held a prestigious teaching post at the Ecole Polytechnique in Paris, and had written a number of papers on mathematical astronomy. In 1845 he began to consider the motion of Uranus seriously. His first paper on the subject showed that the influence of Jupiter and Saturn were not enough to account for the inconsistencies in Uranus's motion. In England, Airy read Le Verrier's paper, and while impressed with it, still did not take Adams's calculations seriously. Then, in June 1846, Le Verrier published a second paper that showed conclusively that there was no standard elliptical orbit for Uranus that fitted the observations. Something else must be influencing the strange path of Uranus. The paper concluded that this new element must be an undiscovered planet. Le Verrier then performed an exhaustive series of calculations to determine the position of this mystery planet. Beginning with simple assumptions he slowly narrowed down the position of the new planet by more complex calculations. The paper ended with an estimated location of the unseen planet, and a promise that Le Verrier's next paper would contain more detail on the planet's orbit. Le Verrier's estimated position was very close to that of Adams's, despite the difference in their methods. However, they were unaware of each other's work. The only person who had access to both calculations was Airy, who received Le Verrier's paper in late June. Airy began to give much more credence to Adams's work, but still had his doubts, which he communicated to Le Verrier in a short letter (although he did not mention Adams's calculations at all). Le Verrier's answer dispelled any doubts Airy had, and he finally began to press for a search for the new planet. Although Airy was the director of the Royal Observatory at Greenwich, he did not search for the new planet himself (he had poor eyesight), or get others there to do so. Instead, he urged James Challis at the Cambridge Observatory to perform the search. Cambridge had a larger telescope than any at Greenwich, and Airy did not want to disrupt the day-to-day work of the Royal Observatory. Furthermore, Airy, like Adams, was a Cambridge graduate, and may have wanted to keep everything "in-house." Challis was on holiday, but began the search when he returned on the 18th of July 1846. The only person who was told of the search was Adams, who was delighted that his work was finally being pursued. Challis chose a painstaking method to find his quarry, comparing star positions from several nights' observations to see if any had moved. However, there were too many objects in the target area to compare all of them, and so Challis only compared the brightest 39. Unfortunately for him he observed the planet in August, but it was the 49th brightest object he had recorded, and so it remained unchecked. He continued his search into September, but did not make the crucial comparison. Meanwhile others were also looking. In France, Le Verrier's paper prompted a brief search by astronomers in the Paris Observatory, but they stopped in August. John Russell Hind, an ex-employee of Greenwich, was also inspired by Le Verrier's paper to mount his own brief search, but did not immediately find anything. At the end of August, Le Verrier presented a third paper in which he gave a predicted mass and brightness for the unseen planet, as well as a more accurate estimated position. The paper urged a full-scale search using the method of searching for the planet's disc. Stars are so far away that they do not increase in size when they are viewed at increasing magnification, whereas planets, being much closer to the observer, do. By flipping between magnifications on a telescope an observer should be able to tell a planet from the stars by the change in size of the planet's disc. However, there was a distinct lack of interest in performing such a search. Le Verrier's difficult personality may have had something to do with this. He was considered arrogant and abrasive by many of his peers, and had more enemies than friends in astronomical circles. Le Verrier became frustrated that no one was looking for his calculated planet, unaware that in England Challis was doing just that. In September he remembered a copy of a dissertation he had been sent by a young German student at the Berlin Observatory, Johann Gottfried Galle. He quickly sent a letter to Galle asking him to search for the planet, hoping to overawe the young student enough to get him to go behind the back of his supervisor. Galle wisely discussed the matter with his superior, and was given some time on the largest telescope in the Berlin Observatory. Galle, and another student, Heinrich d'Arrest, began to look immediately. They were greatly aided by their access to a new, as yet unpublished, star map of the search area. On their first night they found a star that was not on their map. The next night they checked the position of their "star," and were delighted to find that it had moved. They had found a new planet. Le Verrier wrote to a number of astronomers informing them of the discovery, including Airy, and suggesting that the planet be called Neptune. However, he later changed his mind, and decided that "Le Verrier's planet" would be a better name. A naming battle ensued, similar to an earlier one over Uranus. Airy and Challis finally decided to go public with the details of their search, and on the prior work of Adams. They suggested the name Oceanus for the new planet, thinking their work gave them some rights in the naming of the planet. In France the news of Adams's work was met with suspicion. After all, if Adams had indeed made such calculations why had they not been published, or at least communicated informally to other astronomers? A war of words flared up, and an impassioned controversy based strongly on nationality began. Rumors and conspiracy theories ran wild, and many in England believed Adams to be the real discoverer of the new planet. However, the arguments against Le Verrier being the true discoverer of Neptune were discounted by the two Englishmen at the center of the controversy, Airy and Adams. Airy noted in a letter to Le Verrier shortly after the discovery: "You are to be recognized, beyond doubt, as the real predictor of the planet's place. I may add that the English investigations, as I believe, were not quite as extensive as yours." Adams also acknowledged Le Verrier's claim at a meeting of the Royal Astronomical Society, on November 13, 1846. He stated that Le Verrier had "just claims to the honours of the discovery, for there is no doubt that his researches were first published to the world, and led to the actual discovery of the planet by Dr. Galle." Over the years a number of other arguments have been made against Le Verrier taking full credit for the discovery. Le Verrier's (and Adams's) calculations were based on much guesswork, particularly in regards to the orbital distance of Neptune from the Sun. They were also both extremely fortunate that Uranus and Neptune were close together in the period from 1800-1850, giving rise to very obvious changes in the speed of Uranus. While it was true there was a great deal of luck and guesswork involved, this should not diminish Le Verrier's work. Many other discoverers in science have been as lucky. While Adams deserves some credit for his work, it was not at his urging that a search for the new planet was begun or maintained. Adams's work was less rigorous, less accurate, and above all less persuasive than that of Le Verrier. Adams himself did not think he deserved the credit for the discovery, and while he may have been a more modest man than the pompous Le Verrier, he was not merely being polite. Le Verrier had done more to find the new planet, both mathematically and in urging the search. While Galle and d'Arrest also deserve credit for sighting the planet, they would not have been looking without Le Verrier's information. And while Challis may have been the first to see the planet while searching for it, he did not realize its nature. Although Adams's calculations could have led to the discovery, the secrecy kept by Airy and Challis, and the lack of analysis of star sighting by Challis, "robbed" Adams of the claim of co-discoverer. For even if Challis had first sighted the new planet, Adams's work was taken seriously only because of Le Verrier's work. Le Verrier deserves to be recognized as the true discoverer of Neptune, as without his efforts the search would not have been made at that time. He calculated the correct place in the sky, and no matter how much luck was involved, the planet was where he said it would be. Had Le Verrier not published his calculations, no astronomer would have looked for Neptune in the proper area, and the discovery of the planet would have been delayed by many years. John Couch Adams (1819-1892) cannot be credited with the "optical" discovery of the transuranic planet Neptune nor can Urbain Jean Joseph Le Verrier (1811-1877). A cursory acquaintance with the facts suffices to show that priority in this matter unquestionably belongs to the German astronomer Gottfried Galle (1812-1910) and his assistant Heinrich Louis d'Arrest (1822-1875). Nevertheless, ever since Galle and d'Arrest identified Neptune on September 23, 1846, the priority dispute over the planet's "discovery" has invariably, and quite rightly, focused on Le Verrier and Adams. A close look at the facts, though, indicates that priority belongs to Adams alone. Before proceeding, a few remarks regarding the nature of scientific discovery are in order. Traditionally, discovery has been viewed as a unitary event, occurring at a specific time and place and attributable to an individual or small group of individuals. Thomas Kuhn rejected this monolithic account. He argued that many scientific discoveries—such as oxygen, electric charge, etc.—cannot be isolated in this way because the discovery processes itself is instrumental in creating the identity of that which is discovered. Accordingly, assigning priority in such cases is never manifest and often results in disputes even when all relevant facts are known. Kuhn claims this is not typically so for traditional or unitary discoveries. However, priority disputes can arise in traditional cases when information is incomplete. The discovery of Neptune is a paradigmatic example of this latter sort. Manifold reasons exist for the controversy surrounding Neptune's discovery. The most important revolves around two main issues. These are (1) the initial obscurity—some would say secrecy—surrounding Adams's researches as compared with the very public pronouncements of Le Verrier and (2) the revolutionary nature of inverse perturbation theory and the difficulties involved in solving such problems. Since knowledge of the latter is useful for understanding the former, it will be advantageous to begin with a discussion of the inverse perturbation problem associated with the anomalous motions of Uranus. In 1832, then Plumian Professor of Astronomy at Cambridge, George Biddell Airy (1801-1892) addressed the British Association for the Advancement of Science (BAAS) on the progress of nineteenth-century astronomy. In his report, Airy documented the latest research on the anomalous motion of Uranus and the many attempted explanations of this behavior in terms of either (a) a modification of the law of gravity or (b) by appeal to a purturbing planet beyond the orbit of Uranus. Increasing confidence in the validity of Newton's gravitational theory gradually focused research on the hypothesis of a transuranic planet. However, predicting the location of such a planet required accomplishing what most scientists at the time deemed impossible—solving an inverse perturbation problem. John Couch Adams ( Adams, John Couch, photograph . Until the mid-nineteenth century, theoretical work in astronomy exclusively employed forward modeling. This involves deducing consequences from known conditions. For example, traditional perturbation theory seeks to determine the observable effects of certain known bodies on other known bodies. In contrast, inverse perturbation theory attempts to infer the mass and orbital elements of an unknown body by reference to the observed behavior of a known body. (In their simplest versions, inverse problems amount to reconstructing the integrands used to produce an integral from knowledge of just the resulting integral or reconstructing individual summed items from their resulting sum.) Successful application of inverse perturbation theory to the problem of Uranus held forth the promise of not only discovering a new planet but also opening up a whole new branch of theoretical astronomy dealing with unobservable phenomena. Unfortunately, progress in developing inverse perturbation methods was forestalled for two very important reasons. First, it was correctly perceived that the inverse perturbation problem pertaining to the anomalous motions of Uranus was underconstrained by the data—meaning the available data were insufficient for determining a unique set of orbital elements for the reputed transuranic planet. The general consensus, to which Airy subscribed, was that many more years of Uranian observations would have to be taken before any successful attempt could be made to resolve the problem. Second, and just as important, few individuals possessed the requisite mathematical skills to carry-through the calculations, and fewer still the patience and resolve necessary to actually see the work through to completion. Consequently, any proposed inverse perturbation solution would be highly suspect, especially if proffered by a young, unproven researcher. John Couch Adams was just such an individual. He stumbled upon the problem quite by chance. During a visit to a Cambridge book shop on June 26, 1841, Adams came across a copy of Airy's 1832 report on the progress of astronomy. On July 3, 1841, Adams confided to his notebook that he had "[f]ormed a design, at the beginning of this week, of investigating as soon as possible after taking my degree, the irregularities in the motion of Uranus, which are as yet unaccounted for; in order to find whether they may be attributed to the action of an undiscovered planet beyond it; and if possible thense to determine the elements of its orbits &c approximately, which wd. probably lead to its discovery." 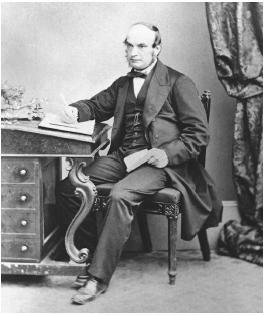 After graduating in 1843 from St. John's College, Cambridge, Adams devoted all his spare time to computing the elements of the transuranic planet. By October he had obtained an approximate solution assuming a circular orbit. In February 1844, James Challis (1803-1882), Professor of Astronomy at Cambridge, wrote on Adams's behalf to Airy, then Astronomer Royal, requesting a full-set of Greenwich Uranian observations. Armed with this data, Adams refined his solution; and by September had deduced the orbital elements for an elliptical path of the perturbing planet. He also made the first reasonably accurate prediction of its location. Though Adams made no secret of his researches, his shy and retiring nature together with the general skepticism toward inverse perturbation methods conspired against him. When he presented his results to Challis in September 1845, he clearly hoped a search would be made with Cambridge Observatory's 11.75-inch (30-cm) Northumberland Refractor. This instrument would easily have resolved the planet's disk. Challis was dubious, though, of undertaking a search for a planet based solely on theoretical calculations, and Adams did not press the issue. Nevertheless, Challis wrote a letter of introduction to Airy for the young Cambridge Fellow. Adams attempted to see Airy twice at Greenwich but failed. On his second visit he left a summary of his results. Perhaps feeling slighted, Adams returned to Cambridge feeling he had advanced his case as far as he could. Airy did give Adams's results due consideration. Nevertheless, he was skeptical for a number of reasons. First and foremost, he was still convinced inverse perturbation problems were impossibly complex. Second, with only a summary of his results, Airy was unaware of the prodigious computations underlying Adams's conclusions. Third, he believed Saturnian perturbations were responsible for the anomalous behavior of Uranus. Though dubious of Adams's results, Airy was sufficiently interested to write a reply. Specifically, he asked whether Adams's theory could account for errors in the radius vector (distance from the Sun) of Uranus. As Adams recounted in later years, he did not respond to Airy because he considered this a trivial question. The standard astronomical tables for Uranus had been calculated by Alexis Bouvard (1767-1843). They predicted both the longitude and radius vector for Uranus. Over time, Bouvard's predictions increasingly failed to agree with observations. While most astronomers had focused on the errors apparent in the longitude vector, Airy had gone to great lengths calculating the errors in the radius vector. Though Adams's results clearly explained the former, Airy wanted to know if he could account for the latter. Given that Airy doubted the existence of a transuranic planet, this seemed a reasonable question. However, according to Adams, since Bouvard's orbits were wrong in the first place, both the longitude and radius vectors would necessarily be in error. Adams considered the question trivial and did not respond. This failure to reply did nothing to alleviate Airy's concerns. Consequently, Airy was not motivated to act. Le Verrier had begun his own investigations during the summer of 1845 at the instigation of Dominique François Jean Arago (1786-1853). Within a year he completed three Memoirs. The first, presented before the Académie des Sciences in Paris on November 10, 1845, established the exact perturbing influences of Jupiter and Saturn on Uranus. The second, presented on June 1, 1846, demonstrated that the anomalous behavior of Uranus could not be the result of "the actions of the sun and of other planets acting in accordance with the principle of universal gravitation." He concluded that a transuranic planet must be responsible and by means of inverse perturbation theory provided an approximate position for this planet. In the third Memoir, presented August 31, 1846, he provided the mass and orbital elements of the transuranic planet as well as a more accurate prediction of its position. After reading the second Memoir, Airy realized Le Verrier's results were in close agreement with those of Adams from the year before. He promptly drafted a letter on June 26 in which he queried Le Verrier about the errors in the radius vector—the same question Adams failed to answer. Le Verrier's prompt reply of June 28 satisfied Airy. This, together with the concordance of results and Le Verrier's considerable reputation, removed Airy's last remaining doubts about the existence of a transuranic planet. In his reply, Le Verrier further suggested that if Airy were confident enough in his results to undertake a search, then he would send a more accurate position as soon as he finished his calculations. Airy clearly thought there was a very good chance of discovering a new planet and that every effort should be made to do so. Nevertheless, he did not respond to Le Verrier. However, he did write Challis at the Cambridge Observatory on July 9 urging him to initiate a search immediately and stating that "the importance of this inquiry exceeds that of any current work, [and] is of such a nature [as] not to be totally lost by delay." Challis somewhat reluctantly began his search on July 29, 1846. Much of the groundwork for the later controversy was now in place. Of particular note was Airy's failure to mention, in his June 26, 1846, letter to Le Verrier, Adams's earlier researches into this matter. In fact, Adams's work at this time was known only to a small circle of scientists, primarily from Cambridge. Furthermore, though the Northumberland refractor at Cambridge was the largest in England, there were any number of smaller instruments just as capable of resolving the disk of the planet. Significantly, Airy's efforts were focused solely on Cambridge. In fact, Robert W. Smith convincingly argues that, among those few in England aware of both Adams's and Le Verrier's work, there was a feeling that Cambridge was the appropriate place for the optical discovery since it was there that the mathematical discovery was made. Impatient for observational confirmation, Le Verrier wrote to Johann Gottfried Galle at the Berlin Observatory, on September 23, 1846, entreating him to search for the transuranic planet. Galle, together with his assistant d'Arrest, prepared to search the skies that very night. d'Arrest suggested comparing their observations with the positions recorded in the newly drawn Hora XXI star chart. As Galle observed through Berlin's 9-inch (23-cm) Fraunhofer refractor, he called out coordinates to d'Arrest, who checked them against the chart. Within minutes Galle noted the position of an 8th-magnitude star. When he called out its position, d'Arrest exclaimed, "That star is not on the map!" As news of the discovery spread, Le Verrier was lavished with praise and congratulated for establishing once and for all the validity of universal gravitation. In the ensuing priority dispute, three factors were emphasized by those supporting Le Verrier: First, Le Verrier published first. Second, the whole course of his inquiry was available to the entire scientific community from the beginning whereas Adams's research only became widely known after the planet was observed. Third, the optical discovery by Galle and d'Arrest proved the planet existed. Publication is certainly important in resolving priority disputes. In lieu of hard evidence to the contrary, publication date weighs heavily. However, publication itself does not establish priority. As in this situation, well-established facts can and should trump publication date. In this case, as the narrative makes clear, it is beyond dispute that Adams produced a fairly accurate prediction of Neptune's position a full-year before Le Verrier. With respect to the obscurity of Adams's work, the charge has never been made that his results were completely secret. Though it has been shown that there was no serious attempt to promulgate the results, there is no indication Adams was intentionally secretive. While the former behavior was criticized by the scientific community, the latter fact should militate against any unqualified condemnation. More telling than either of these is the perceived relationship between the optical discovery and theoretical prediction of Neptune. John Herschel's (1792-1871) view is fairly representative. He believed the discovery was the property of Le Verrier for the simple reason that he had proved the planet existed. The proof Herschel and others accepted was not his mathematical calculations, but rather the optical discovery made by Galle and d'Arrest. Herschel wrote, "Until the planet was actually seen and shown to be a planet—there was no discovery." Yet, if the optical discovery proved the planet existed by confirming Le Verrier's prediction, it did so no less for Adams's prediction. Given these circumstances, the only way of assigning Le Verrier priority was by conjoining his mathematical prediction with the optical discovery. However, doing so would diminish the work of Galle and d'Arrest. If one gives Galle and d'Arrest their due credit, then the optical discovery of Neptune can only be seen as confirmation of both Le Verrier and Adams's work. Consequently, Adams and Le Verrier would reign as co-discoverers. If, in addition, one strictly adheres to the methodological imperatives of publication, full-disclosure, etc., then the laurels go to Le Verrier. The problematic nature of this move, though, dictates due emphasis be given to Adams's earlier work. Once this is done, Adams alone retains priority for the discovery of Neptune. Fernie, J. Donald. "The Neptune Affair." Scientific American 83, 2 (Mar.-Apr. 1995): 116-19. Grosser, Morton. The Discovery of Neptune. New York: Dover Publications, Inc., 1962. Harrison, H. M. Voyager in Time and Space: The Life of John Couch Adams. Sussex, England: The Book Guild Ltd., 1994. Hoyt, William Graves. Planets X and Pluto. Tucson: University of Arizona Press, 1980. Kuhn, Thomas. "The Historical Structure ofScientific Discovery," in The Essential Tension. Reprinted from Science 136 (1962): 760-764. Chicago: University of Chicago Press, 1977: 165-177. Moore, Patrick. The Planet Neptune: An Historical Survey Before Voyager. 2nd ed. Chichester, England: Praxis Publishing, 1996. Sheehan, William. Worlds in the Sky: Planetary Discovery from the Earliest Times through Voyager and Magellan. Tucson and London: University of Arizona Press, 1992. ——, and Richard Baum. "Neptune's Discovery 150 Years Later." Astronomy 24 (Sept. 1996): 42-49. Smith, Robert W. "The Cambridge Network inAction: The Discovery of Neptune." Isis 80 (Sept. 1989): 395-422. Standage, Tom. The Neptune File: Planet Detectives and the Discovery of Worlds Unseen. London: Penguin Press, 2000. Tombaugh, Clyde W., and Patrick Moore. Out of the Darkness: The Planet Pluto. Guildford and London: Lutterworth Press, 1980. Whyte, A. J. The Planet Pluto. Toronto: Pergamon Press, 1980. The study of astronomical bodies from a purely mathematical basis, as opposed to observational astronomy (which can still be heavily mathematical). Mathematical astronomy is often applied to difficult or impossible-to-see objects and situations, such as the location of an unseen planet or the future positions of the known planets. Ancient astronomers assumed the planets moved in perfect circles, but in the seventeenth century Johannes Kepler showed that they moved in elliptical orbits. Issac Newton's laws of motion seemed to accurately predict the motion of the known planets. Indeed, the small deviations from the predicted paths of some of the outer planets enabled unseen planets to be discovered, further strengthening Netwon's laws. However, the orbit of the innermost planet, Mercury, could not be explained until Albert Einstein's Relativity Theory. For most practical purposes Newton's laws are still used, and elliptical orbits hold in all but the most extreme circumstances. The method of calculating the mass and orbital information of an unseen astronomical body by studying the deviations (perturbations) from other bodies' calculated orbits. It was successfully used to explain the perturbations in the orbit of Uranus, and thereby discover the planet of Neptune. However, attempts to calculate the position of a further planet were not successful, although eventually the ninth planet of Pluto was discovered using photographic comparisons. Any planet that lies beyond the orbit of Uranus. Similarly a transneptunian planet is one that lies beyond the orbit of Neptune. In the early nineteenth century the existence of any transuranic planets were generally discounted, until the problems with the observed positions of Uranus inspired some to search for a such an entity. Galileo, who was famous for the discovery of Jupiter's 4 big moons inadvertently observed AND RECORDED Neptune in close proximity to Jupiter. He determined it was a "wandering star"/planet much like Jupiter, only far fainter. Sometime later he lost track of it. But that would still make him the technical discover of Neptune...and ironically found before Uranus was. I really enjoyed reading this article and I was wondering if you had any pdfs that showed how Adams discovered Neptune? Does the accumulation of "space debris" in Earth's orbit pose a significant threat to humans, in space and on the ground Did life on Earth begin in the "little warm pond"